If you think you may be pregnant, or would like advice regarding pregnancy, please make an appointment. Ante-natal clinics are held weekly by the midwife who works with the doctors and the Hospital to provide both ante-natal and post natal care. The doctors will also contact you after delivery and perform a full post-natal check and a six week baby check which is required prior to your child recieving any immunisations. Rothwell Health Centre by appointment only. Please note you can only book from the Monday for that week's clinic. Your child will be invited for his/her first immunisation at approximately eight weeks of age and you will recieve a letter from Child Health advising you to contact the surgery you usually attend and book a mutually convenient appointment. You will be then recieve a letter each time a future immunisation is due as appropriate. These clinics is held weekly by our Vaccination nurse at both sites to give protection against the common childhood illnesses and we recommend that you book appointments as soon as you get these letters to ensure your child receives protection at the appropriate time. Please let us know if your child is not well before bringing for any immunisation and our nurse will advise you whether you should attend any pre booked appointments or rebook when your child is better. Well woman clinics are run by the practice nurse and offer a general health check which includes breast care advice, blood pressure check, urine check, cervical smear, immunisation (if appropriate) and general advice. Our computerised recall system will invite you to a clinic when you are next due a check up. 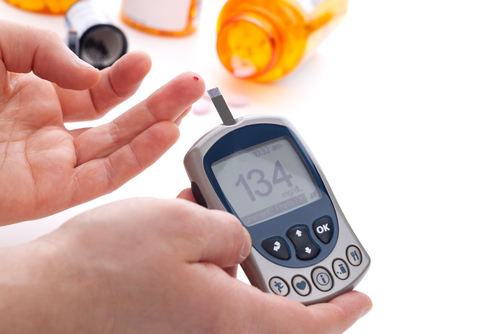 A doctor and the practice nurse will monitor control of diabetes and advise accordingly. The doctors provide a comprehensive family planning service, including the fitting of coils and contraceptive implants. Please make an appointment if you require this service. Each Monday at Oulton Medical Centre we have a Family Planning and Sexual Health Clinic from 5.00 to 7.30pm. This is a drop in session and no appointment is necessary. Please note there will be no family planning clinic on Monday 22nd April as the surgery will be closed for Bank Holiday Easter Monday. Travel: please check with the surgery at least six weeks before departure in case any vaccinations are required for your destination. These are carried out by Dr Duvenage and Dr Gascon Mora and can be arranged directly with the doctor concerned. First Contact Physiotherapists (FCPs) appointments are now available at our Oulton surgery each Thursday. Our reception team can book patients in direct without the need to see a GP first. Please click here for the inclusions/exclusion criteria. Rob our designated practice physiotherapist, can provide advice and exercise plans and decide on the most appropriate management pathway. This may include further investigations, onward referral for physiotherapy treatment or orthopaedic appointment.